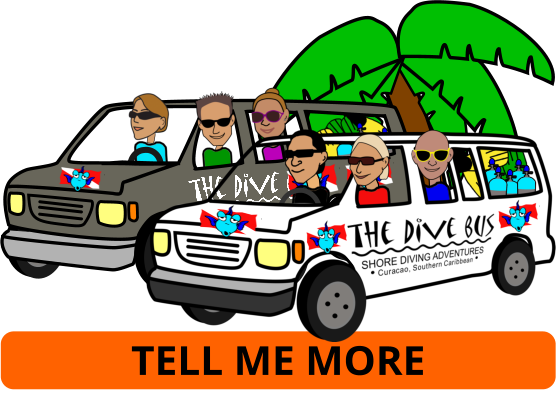 Click or scroll the image above, and follow the arrows for a tour of The Dive Bus – inside and out. 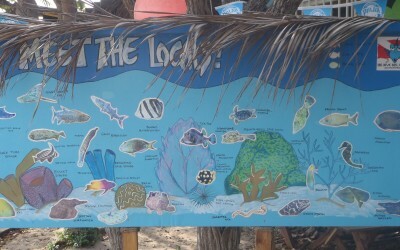 All the facilities below are free of charge if you're diving with us, or renting equipment and / or tanks. 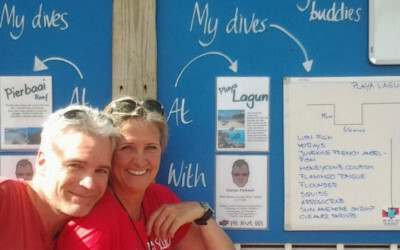 Dive-log-board, posted on our facebook page, so you can log your dives back home or here, whichever you feel like, whenever you feel like. Plastic + aluminum recycling bins, provided by Green Force. We really appreciate you using them, thanks. A simple picnic lunch is included on the Dive Bus trips, and if you’re taking a PADI dive course with us, order one when you check-in. 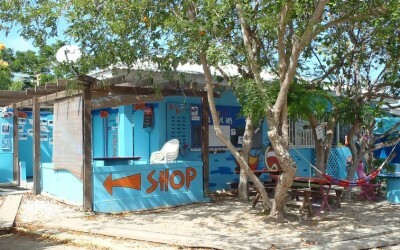 Otherwise, there’s a wide variety of restaurants within minutes’ walking distance, from the local seafood restaurant on the beach across the road, to a multitude of others at Curacao Boulevard on nearby Mambo Beach. 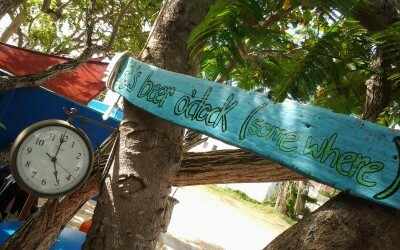 It’s no lucky coincidence that you’ll find The Dive Bus opposite one of the best and most popular dive sites on Curacao: Pierbaai Beach + Car Pile, at Marie Pampoen. We discovered this amazing reef in 2005 and set up the original little Dive Bus “Hut” as close by as possible: right on the beach. 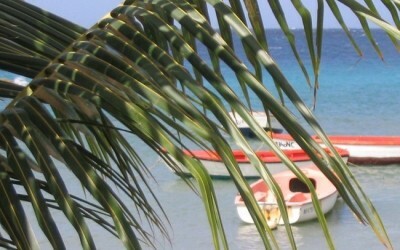 And when we outgrew the Hut a few years later, we moved right across the road to a much larger spot. 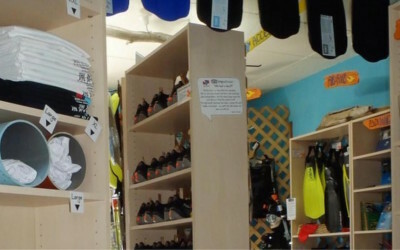 These days, the Dive Bus shop offers heaps of space, privacy, parking and tons of divers’ facilities on site – and is still just a stone’s throw from our beautiful house reef. 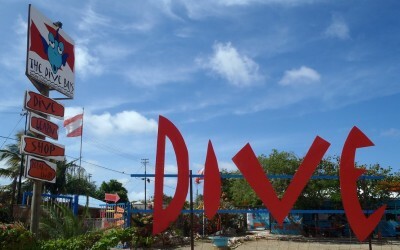 The Dive Bus is also just across the road from Sunscape, close to Curacao Seaquarium, Lions Dive Hotel, Royal Resort, Boase Resort, Avilla Beach hotel and heaps more – here for where to find us.